Cheeky Little Place is a (little!) cafe that has been open for around a year in New Norfolk. Owner's Deb and Matthew have a passion for great local produce and are translating that into the quality and fresh food they prepare. It has become a local and visitor's favourite, that is for sure. And my personal favourite, too! 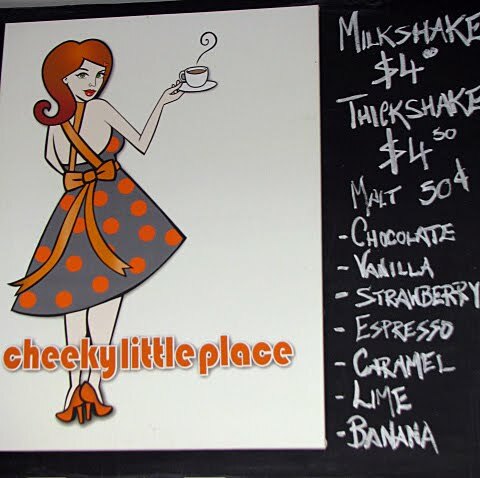 The interior is quirky and the blackboards list the beverages that are available, including good old fashion milk and thick shakes...not just for the little ones. There are stools at the bench in the front window, and some tables outside at the front and to the side of the cafe for alfresco dining. 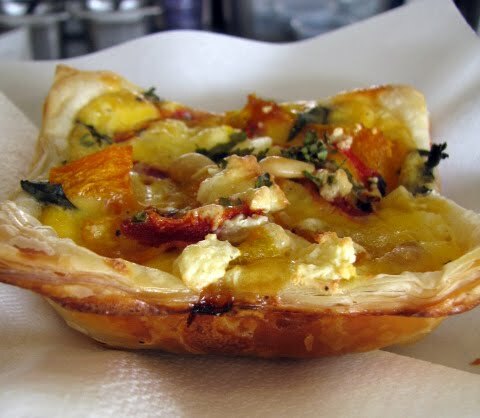 A delicious vegetarian and ricotta tart is just one of the many savoury options that one can sample, along with gourmet pies, salads, sandwiches and a selection of other savoury pastries. I can never resist the gorgeous sweets, from berry frangipane tartlets to gluten free choc hazlenut expresso torte. Yummy! And perfect with the great coffee they serve. 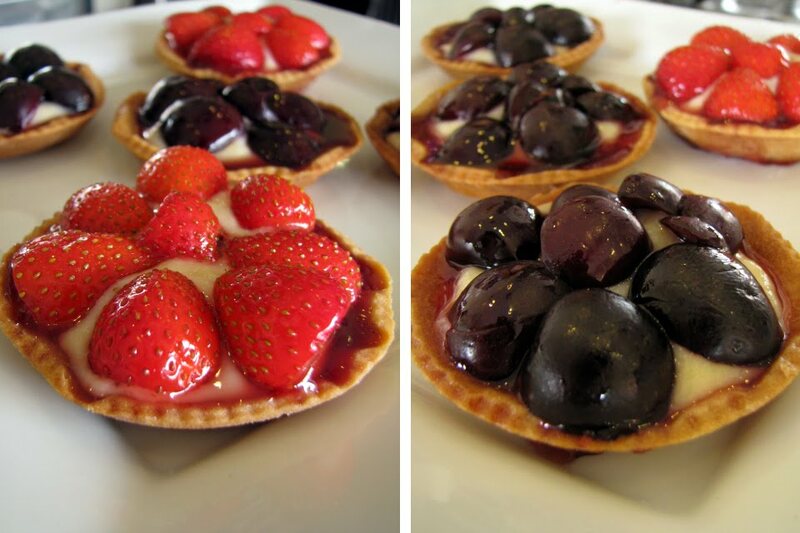 I can't help but admire the careful presentation of these strawberry and cherry tarts. 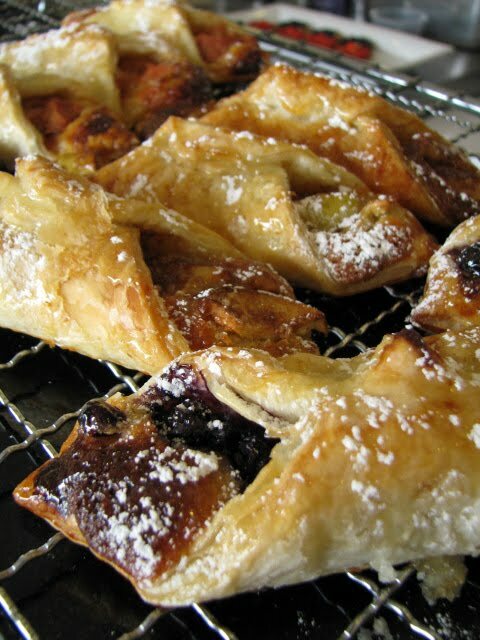 Definitely made with love and passion, wouldn't you agree? 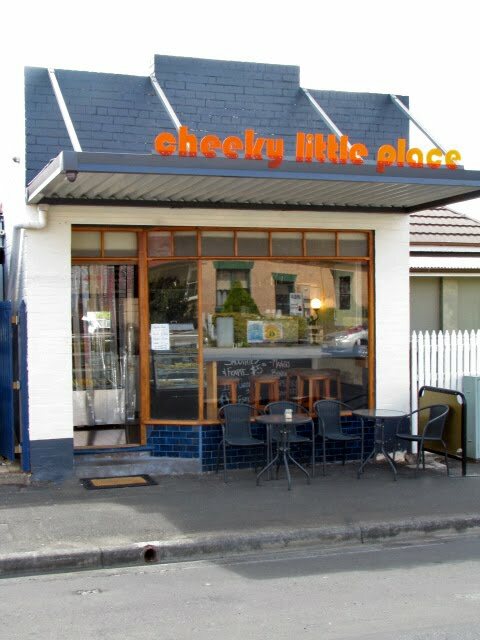 Cheeky Little Place is a must stop little place whilst visiting the antique shops of my town, or stock up and go down to the Derwent river for a little picnic. The perfect day out! Opening hours 8-4.30 Mon-Friday 9-4 Sunday. Closed Saturday. Burnett Street, New Norfolk. You are right, Steve. It is a cool place too! You must visit. 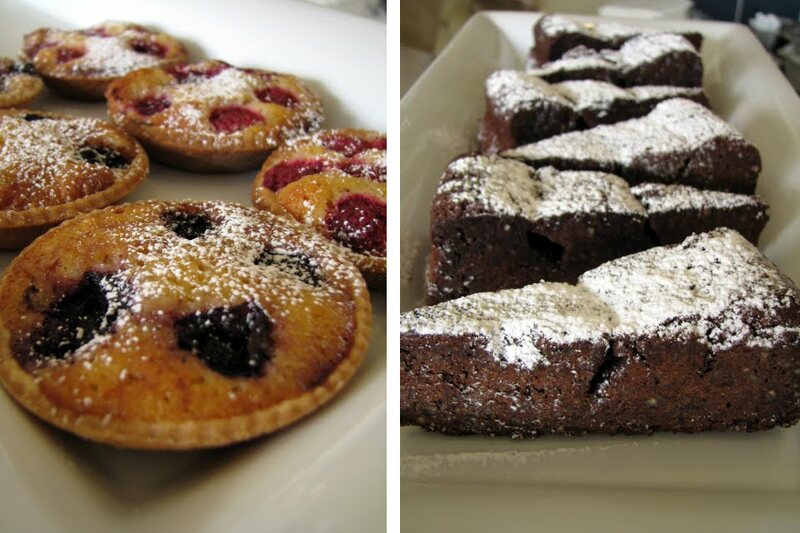 Lovely food and welcome to CuisinedeProvence, Tammy! subject for ages and yours is the best I've found out so far. But, what about the conclusion? Are you positive in regards to the supply?